I have long been trying to find a fully-fledged 68k Macintosh emulator that can run System 7 and older, with support for sound and serial port communications. Mini vMac does not suit my requirements due to lack of serial port emulation. Basilisk II, despite being a very capable emulator with support for Ethernet, does not officially support 24-bit addressing and hence will not be able to run Mac systems older than 7.5.5, at least not without the MODE32 extension. Fortunately things changed when I came across PCE/macplus, a highly customizable emulator that can emulate many 68k compact Macintosh models from the Macintosh 128K/512K up to the Macintosh SE. Serial emulation, which is what I need, is also supported as well. This article will describe my various experiments with PCE/macplus and share some interesting findings. The Windows emulator binaries for various Macintosh systems together with the source code can be downloaded from PCE’s download page. If you are interested, on the same page you will also find emulators for PC XT, Atari, CP/M, and other machines. Running PCE/macplus on Windows should be straight forward. Just extract the ZIP file, locate the run.bat batch script, and execute it. With some luck, you should be able to see your favorite 68k Macintosh system on the emulator screen shortly. However, since many exciting features of PCE/macplus such as PPP emulation via the serial port will not be supported on Windows, with some time at hand, I decided to spend some time compiling PCE/macplus for Ubuntu, my favourite Linux distro to be able to explore its full set of features. This part needs a bit of explanation. The provided options enable PPP emulation via the serial port (needed for Internet access since PCE/macplus does not emulate the Ethernet card) and enable building with SDL (required for sound support) and with X11 libraries (important, otherwise there will be no video output once the emulator is run). Finally, although Open Sound System (OSS) has been deprecated in Ubuntu 16, we also enable it with –enable-sound-oss just in case. If the results show that SDL or X11 is not built, check that you have the necessary development libraries installed. You can type q to quit now as a few other steps are still needed before you can run your favorite Mac system software using this emulator. For more information on the available options, refer to this commented example configuration file. In my experiments, SDL works best and is the most reliable method. 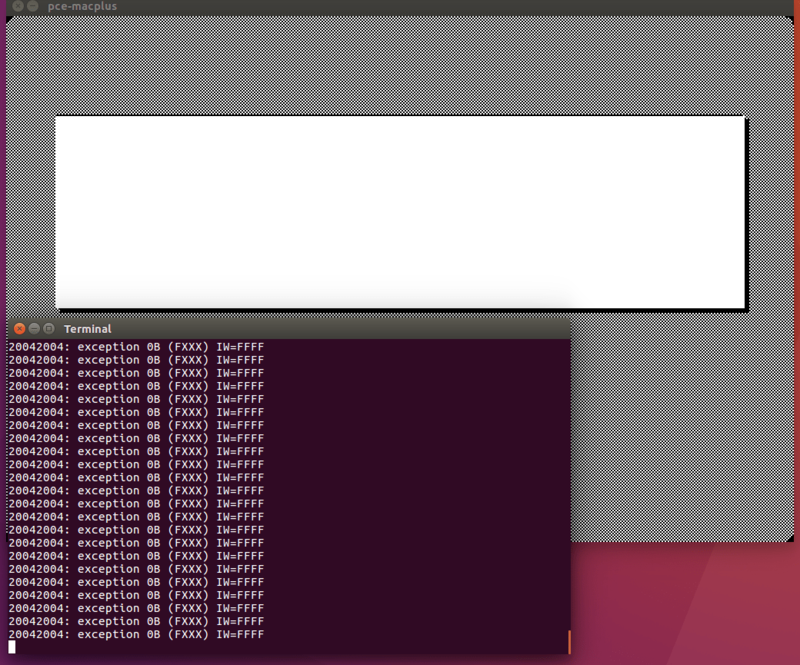 OSS does not work well on Ubuntu 16, since it has been deprecated. It either produces no sound at all or plays garbled sounds over the speaker, probably because the frequency and bit rate of /dev/dsp is not configured properly. However, regardless of which method is used, the Macintosh 128K emulated by PCE/macplus does not play any chime upon booting up – only some static noises are heard. I came across an interesting issue when playing around with PCE/macplus. I used Linux dd command to create a 1000MB hard disk image, attach it to the machine using the config file, and use Apple HD SC Setup to initialize the drive and create the partitions. Surprisingly, despite changing various options, the tool only created a 20MB partition while leaving the rest of the emulated hard drive unallocated. I have been using this tool on several large hard drives up to 2GB, both emulated and real, with no issues. So what was wrong this time? This config emulates the Seagate ST225N 20MB hard disk drive that comes with many compact Macintoshes of the time. Although this is good in a sense because the emulated hard drive will show up in Apple HD SC Setup immediately without the need for a patch, it also causes Apple HD SC Setup to think that the hard drive is only 20MB and creates a single 20MB partition, without even querying the drive for its real size. The solution is to change the vendor and product name to something else (while maintaining the original string length), and use the patched version of Apple HD SC setup to initialize the drive. In my tests, both HFS partition images and HFS entire hard drive images are supported. An insert_delay option can be used in the sony section of the config file to indicate how long the emulator should wait after startup before inserting the disk image. This is needed if you are having multiple disk images, as inserting them all at once will confuse the Mac and may cause some of them not to show up, which happened several times during my experiment. Unfortunately there seems to be no easy mechanism to insert or remove disk images when the emulator is running, unlike Mini vMac. The only method is to press Ctrl-` in the video window to pause the emulator and type m emu.disk.insert <drive>:<fname> or m emu.disk.eject <drive> into PCE/macplus terminal window. Not only is this method so user-unfriendly and counter-intuitive, it has never worked properly when I tried it. Either the disk could not be ejected, or does not show up without a reboot after being inserted. If you need to install software that requires the insertion/removal of multiple disks, just mount them all at once in the config file before starting up the emulator – most installers will know how to eject the last disk and continue with the next disk automatically if multiple disks are present. Another problem that I have is with the disk image file extension. In a few cases, the emulator seems to guess the image type using the file extension. For example, the same disk image would work when its file extension is “.img”, but will no longer be recognized if “.dsk” or “.image” is used. There is also no clear documentation on what type of images are supported, and what values other than “auto” are accepted as the disk type. If cfg.sony is 1, then an extension ROM called macplus-pcex.rom is loaded, enabling support for 800K floppy drives. Otherwise, only 400K IWM floppy images are supported. Other than playing around with the sample MacWrite and MacPaint IWM images that come with PCE/macplus, I have no ideas how to create new IWM images. The terminal window displayed “exception 0B (FXXX) IW=FFFF” continuously and I could only close the emulator. What was wrong? After a reboot, the Macintosh 512K emulated by PCE/macplus should now have HFS support and emulated HFS disk images should show properly in Finder. The ZIP file containing the original HD20 Startup disk image as well as the modified disk image with the Sony driver removed can be downloaded here. One of the reasons why I like PCE/macplus is its abilities to support PPP (and SLIP, as well as TCP) on the serial port, allowing Internet access from System 6 and 7 machines. This cannot be done with Mini vMac, since it does not emulate the serial port. To test this, I am using Config PPP 2.0.1 and MacPPP 2.0.6. MacTCP should be set to use PPP on a static IP configuration and not LocalTalk. Config PPP should point to the modem port, although using the printer port is also possible, just that you may need to disable AppleTalk on that port using Chooser. The rest of the settings can be kept as default. The multichar parameter, if set, will allow the specified number of characters to be sent or received without any transmission delay. This means that if multichar is set to 2 and the serial port is configured to be 19200bps, you can potentially have a serial transmission speed up to 2x19200bps = 38400bps. For a start, set it to 1 to use the default serial port speed. The guest IP address provided on the driver string should match the MacTCP static IP configuration. You will notice that the download speed will be slightly faster than the maximum theoretical speed for the serial port. In this example, the serial port is configured at 19200bps, yet we are able to download at 3163 bytes/sec (almost 28.8kbps, taking into account protocol overhead). This is due to the efficiency of the emulated serial port. On a real Macintosh SE with the same configuration, I can only get around 1.8-1.9KB/s download speed. You can make the download speed even faster by setting the multichar parameter to a reasonable value such as 5 or 10. If you can open the PPP session but there seems to be no Internet access, you may need to enable IP forwarding on your Linux host by editing /etc/sysctl.conf and setting net.ipv4.ip_forward=1, then run sudo sysctl -p to update the system settings. Remember to edit /etc/ppp/options and add (or uncomment) the noauth option to disable PPP authentication, which will just cause problems. You can also add the passive and persist options so that PPPD will not simply give up after a few connection attempts. After that, click Open in the Config PPP panel to connect to a PPP server, and quickly run the above PPPD startup script. The connection should be established and Internet access should be available from inside the emulator. I contacted the author of PCE/macplus and was advised that this may be due to assumptions made on the serial port behaviour, which may not apply for emulated serial ports. For example, a tool could assume that any data sent via the serial port is immediately received on the other end, which may not be true for an emulated port (due to data buffering, etc. ), causing weird timing issues. Whatever the reason might be, I was not able to fix the issue. So for now, if you have to use PPPD on the host, just remember to initiate the connection from inside your emulator first. # shutdown it is written back. # the Macintosh Classic ROM. There is a minor issue with booting from ROM disk. The selected startup disk is stored in PRAM, which is the mac-classic-pram.dat file in the PCE/macplus emulator. Once the machine has booted from floppy/hard disk drive, the startup disk is remembered and used for the next boot, even if booting from ROM disk is specified. According to the author, this is because the code does not know how to set the startup disk. A workaround is to delete the mac-classic-pram.dat file for every startup so that the machine could boot from either the ROM disk or from the disk images correctly. This causes several system settings, include screen brightness, to be reset to default, and the screen will look dark upon first startup. In my tests, even after deleting mac-classic-pram.data, setting rtc.romdisk=1 from command line will sometimes still boot from the disk drive if romdisk = 0 is set in the config file. This seems to be a bug with PCE/macplus. Despite the limitations and some minor issues, i think PCE/macplus is a very capable emulator. I am currently using it together with Retro68 and CodeLite to improve Browsy, an open-source minimal System 6 web browser. I hope the author of PCE/macplus can spend some time making the emulator for user friendly, for example by allowing easy insertion/removal of disk images when the emulator is running. When that happens, I guess PCE/macplus will be much more popular than Mini vMac, currently the most well-known emulator for System 6 and System 7. Do you know if the tun source only compatible with linux and not with OS X tun? 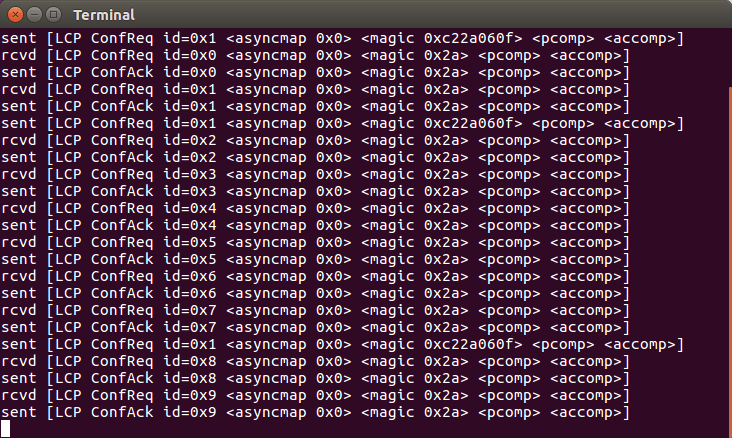 This is a common problem when building code that uses TUN/TAP meant for Linux on OSX. Try to use this http://tuntaposx.sourceforge.net and see if it helps you. In VirtualBox (Windows host, Ubuntu VM) the mouse would fly to one of the four corners of the emulated screen no matter how I moved the mouse. After hours of trying different versions and settings of pce, the solution was to turn off “Mouse Integration” in the Input menu at the top of the VirtualBox screen.